Allow 1 week for our Suit Hire Option. 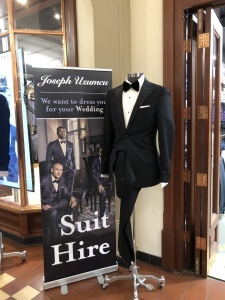 The Joseph Uzumcu Suit Hire Option is made to be super easy so that you can be in and out, all set for your event in no time! 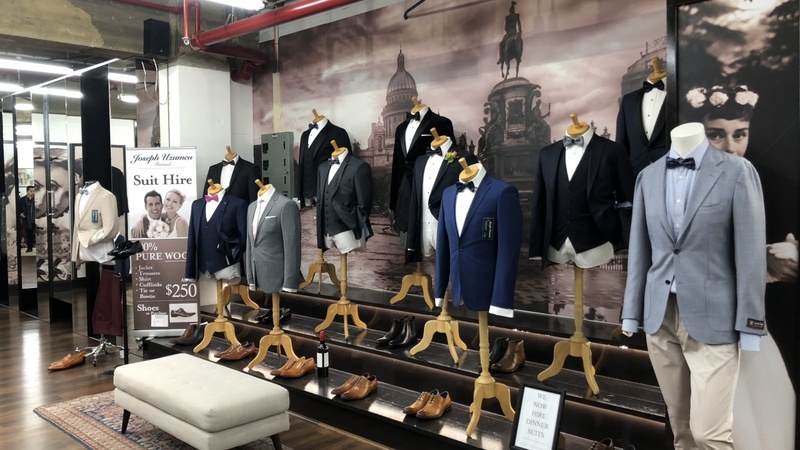 Since 1986 we have offered the latest trends in men’s suiting, with contemporary fits and colours including a great selection of the best quality suit hire in the industry. Our trained and experienced consultants will help guide you through the selection process. The cost of each suit includes alterations, fittings and dry cleaning on return. Appointments are preferred for wedding suit hire. STEP 1: Call, email or visit our booking page on our website to secure your appointment with one of our suit hire consultants. STEP 2: Upon arrival at one of our city stores, our consultant will give you a one-on-one styling and fitting experience. Please allow approximately 30 mins for each individual fittings. STEP 3: Swipe your credit card and the suit is booked out for your event date (security bond is required). STEP 4: Pick up your suit the day before your event (generally you have 3 to 4 days with the suit). STEP 5: Look dapper at your event and take lots of pics. Make sure you tag us on Facebook and Instagram. STEP 6: Return the suit in good condition the day after your event & you’re done. Dry cleaning is already included in our suit hire pricing. Our venue, showroom and professional customer service cannot be beaten. We offer a very wide collection of suits, highly customizable to match any of your requirements. Hi guys, just looking for a price range of suit hires please. we also do a pure wool range of hire suits (of which we have more to choose) for $250. the package is inclusive of the same as above with the suit just being different fabric. hope this helps. feel free to pop in to the store and have a chat to us so we can show you what’s what.